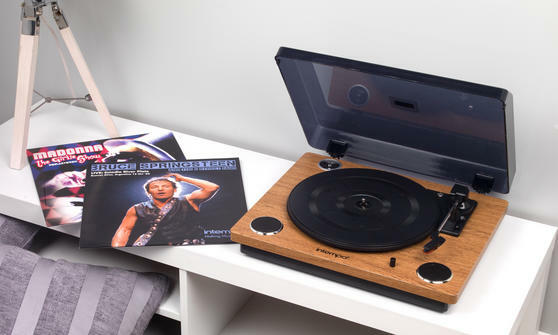 Play all of your favourite vinyl or connect your smartphone to this versatile Intempo Revolve turntable featuring an integrated USB port. 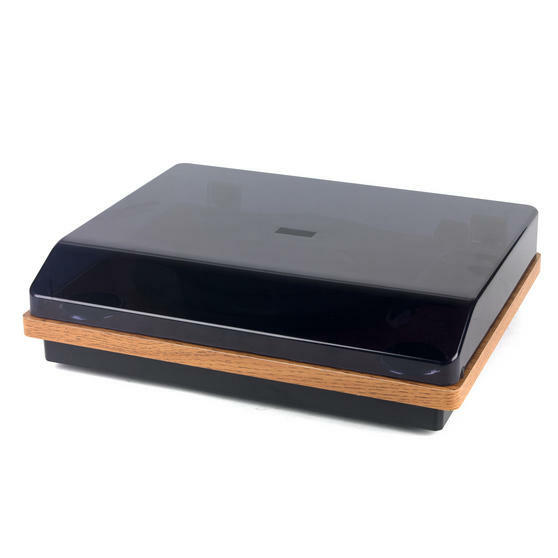 With a contemporary design and in-built speakers producing clear audio, the turntable has a belt drive to prevent interference and a dust cover for long lasting quality. 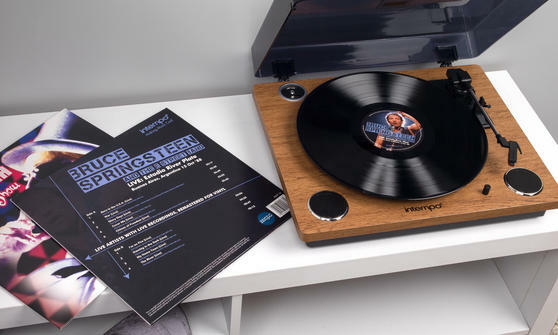 The three speed turntable can play 33, 45 and 78 rpm records and easily switches between modes, so you can simply connect your laptop or PC with a USB cable for instant music. 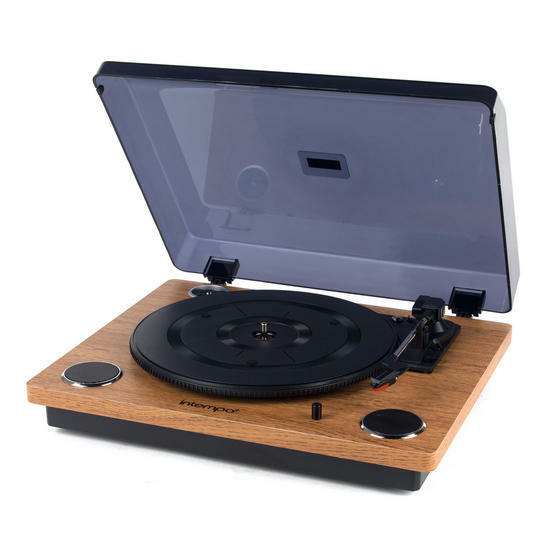 Enjoy listening to old and new vinyl records on this stylish oak Intempo Revolve turntable, with an authentic and high quality sound. 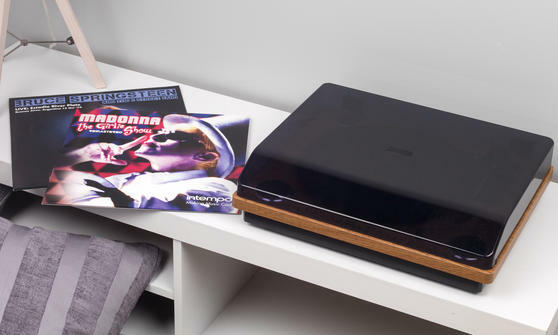 The three speed turntable can play 33, 45 and 78 rpm records and has discreetly built in 3W speakers to provide great sounding audio. With an integrated USB port and bluetooth you can play music through your phone and connect to a computer to copy your records across. 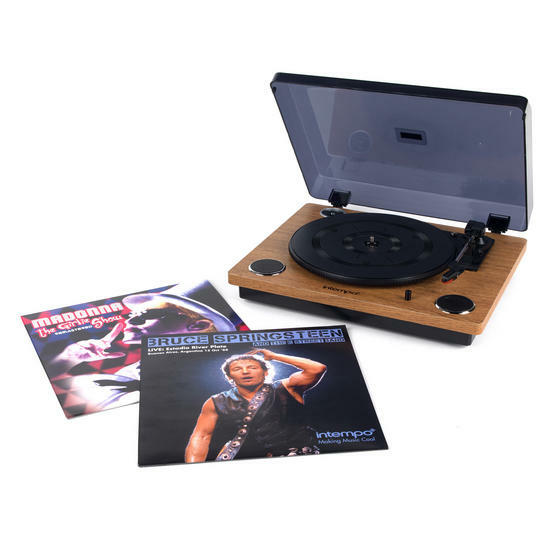 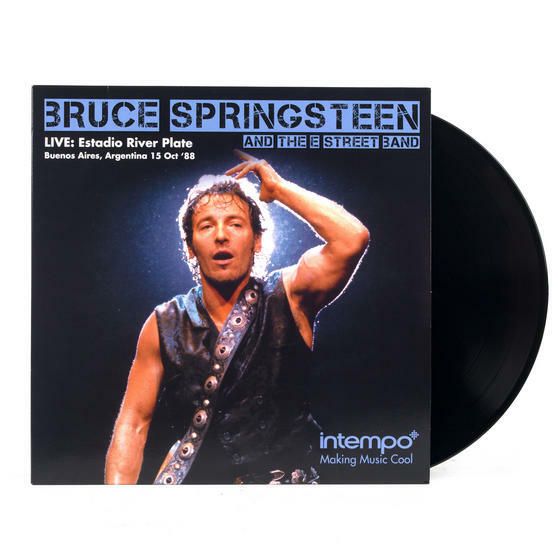 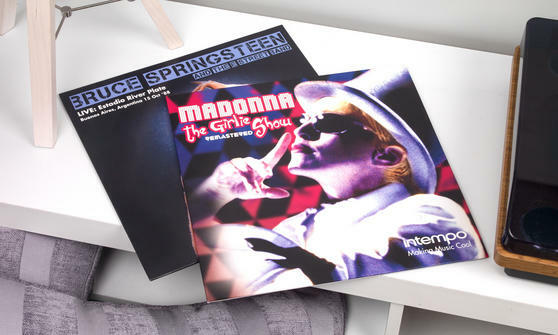 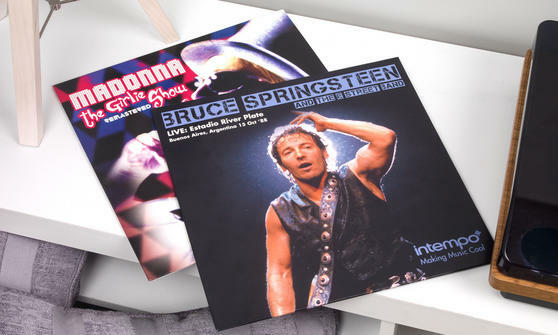 The Bruce Springsteen vinyl makes a fabulous gift and includes 9 timeless tracks. 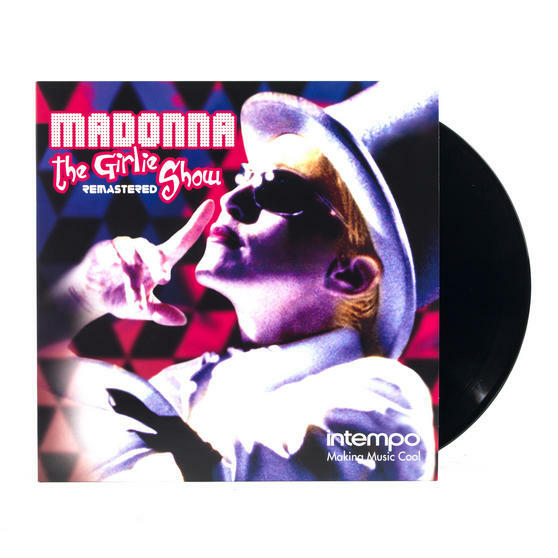 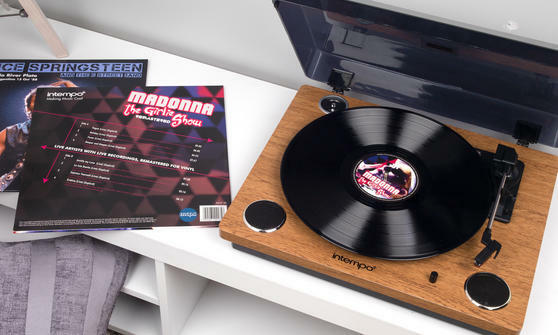 The Madonna vinyl features the famous hits Deeper and Deeper, La Isla Bonita, Express Yourself, Erotica, and more, all performed live.